WHAT’S GOING ON IN THE VINEYARD IN MARCH: Vintage has arrived! 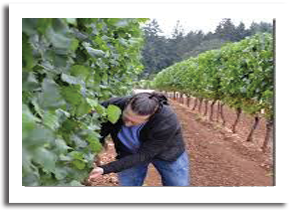 Sampling in the vineyard is occurring several times a week for varieties picked first, and increasing for those picked later. When the grapes are of a suitable composition to make a particular style of wine, the harvest date is set, picking begins and vintage has arrived. Picking of Chardonnay can start as early as February but usually occurs in March, followed by Sauvignon Blanc and Semillon. 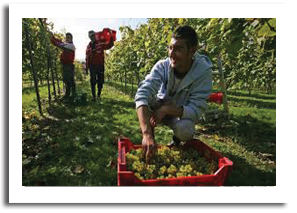 White grape varieties are picked during the cool of the night or early morning. Red varieties are naturally more resistant to oxidation and heat damage and can be picked during the day. Bigger operations will harvest 24 hours a day when necessary—when the grapes are at optimum ripeness they will wait for no one! To decide when to pick the grapes Bob Cartwright, our winemaker, considers the acid levels and their balance with the sugar level, however ultimately he picks on flavour. Grapes are flavour ripe if they have an aroma and flavour similar to the goal wine style. The types and intensity of characters in berries are assessed by tasting or smelling the juice samples. Both the presence and absence of specific aroma and flavour characters are noted. Berry size, firmness of the flesh, crunchiness and tannins of the seeds and the presence of disease are also deciding factors on when to harvest. All of the above determines if the fruit is style ripe and has the characteristics to produce a particular style of wine. WHAT’S GOING ON IN THE WINERY IN MARCH: All hands on deck! Harvesting involves picking and transporting fruit in bins to the winery where the vineyard staff hands over the efforts of the last twelve months to the winemaking team. White grapes are tipped into a hopper and fed into a de-stemmer crusher where rollers remove stalks and leaf debris from the berries. The mixture of juice, pulp, skins and seeds, called must, is cooled after crushing and pumped to a press. Free run juice that drains freely from the press is collected. Inflatable bladders press the remaining must to obtain more juice. Some of this juice will be added to the free run, while the juice from later in the pressing will be processed separately because of higher levels of bitter compounds and possibly be discarded or added in blending to add complexity. Chardonnay is the first ferment to kick off and takes approximately 2 weeks in oak barrels stored in a cold room. Fermentation temperatures are generally 8-18 degrees Celsius. There are about 100mil yeast cells in 1ml of ferment liquid at the peak of fermentation. The most important yeast in winemaking is Saccharomyces Cerevisiae. Put simply fermentation is the conversion of sugars to carbon dioxide and ethanol. Particular strains of S. cerevisiae will be selected for particular grape varieties and wine styles. WHAT’S GOING ON IN THE VINEYARD IN APRIL: On to the Reds! The sugar content of the red berries is increasing slowly and berries become obviously sweet to taste. Reds are generally harvested in early April. Harvest dates are significantly influenced by the weather. This is a very anxious time for viticulturists and winemakers as the weather can play havoc with so much hard work and possibly brilliant wine! 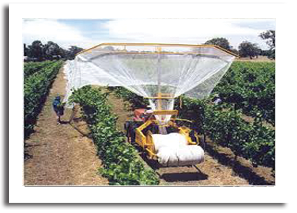 Nets have been moved from the whites onto the Merlot, Shiraz and Cabernet Sauvignon, to prevent bird damage. Birds are chased out from under nets where necessary (by well-trained vineyard dogs if they’re around!). Samples are continually being collected for analysis and harvesting continues around the clock. WHAT’S GOING ON IN THE WINERY IN APRIL: Fermenting Furiously! Fermentation is well underway for the Semillon and Sauvignon Blanc. The majority of the Semillon and Sauvignon Blanc juice is fermented in stainless steel tanks to maximise freshness and fruit flavour. A small portion may be fermented in older French oak barrels to impart texture to the finished wine. Fermentation temperatures are used to control the speed of fermentation and generally range from 13-18 degrees Celsius. There are about 100mil yeast cells in 1ml of ferment liquid at the peak of fermentation. The Sparkling wine base is in barrels fermenting and so is the Reserve Chardonnay. Sauvignon Blanc is also fermenting in barrels. By early March, the Chardonnay has finished fermenting and remains in barrel to begin its 12 month maturation, further developing flavour and complexity. Reds generally take 7-10 days to ferment, getting pumped over two or three times in a twenty four hour period for oxygen exposure (for yeast vitality) and for colour and tannin extraction. Additions of nutrients, in particular nitrogen, initially will be added. When they finish ferment they may sit on skins for several more days and will then be pressed and racked to go into barrel for malolactic fermentation. Racking refers to clear wine/juice being drawn from above the solids that have settled in tank or barrel and further clarifies the wine. Centrifuges or filtration units may add to clarification. MLF or malolactic fermentation occurs when lactic acid bacteria convert malic acid to lactic acid. All reds must undergo MLF and full or partial MLF is a stylistic choice winemakers have for white wine, particularly Chardonnay. When MLF is used for Chardonnay production the “malo bugs” as they’re affectionately known will produce compounds that add complexity to the wine, such as diacetyl which produces a buttery flavour. 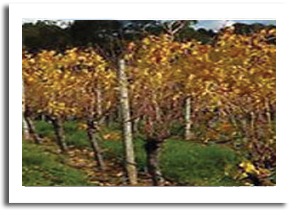 Saracen Estates Chardonnay will only occasionally have partial MLF to reduce acidity. WHAT’S GOING ON IN THE VINEYARD IN MAY: Fall into Autumn! The vines begin to shed their leaves as the vineyard experiences ‘fall’ in this last part of Autumn. The red and gold vines stand out from the sunny days and blue sky contrasting backdrop. It is the end of harvest. Preparation starts for winter and the early rains with cover crops planted in between vine rows and adding mulch to soils. Nets are stacked away and general tidying up is done. It’s time to take annual leave for a lot of the vineyard workers. By the end of May the reds finish fermenting and join the Chardonnay in their own barrels for their maturation cycle to begin, further developing their flavours and complexity. We use a mixture of old and new oak, and a range of different coopers from different forests. New oak imparts the most flavour and tannin to wine, older oak is more subtle. Settling of aromatic whites – Semillon and Sauvignon Blanc continues, racking begins followed by fining and then blending them. 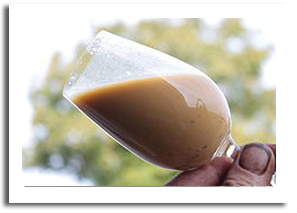 Settling occurs several times during white wine ferment: juice is usually settled after pressing and racked before yeast is added to begin ferment. 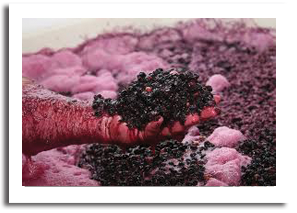 Post ferment wine may be settled and racked to remove small solids such as dead yeast cells from the wine. It may occur again after fining and stabilisation and prior to filtration. Filtration occurs immediately prior to bottling. The winery is getting geared up for the commencement of bottling of the Sauvignon Blanc Semillon and Sauvignon Blanc. Hiring of staff and equipment is checked for peak performance. Meanwhile the Chardonnay is kept in barrel after fermentation in contact with solids consisting of dead yeast cells and grape particles called lees. This process creates further complexity in the wine, adding aroma, flavours and mouthfeel. The length of time on lees varies and can be from 2-12 months. Chardonnay is kept on lees for 10 months and barrels are stirred fortnightly, to add texture and complexity.